I recently booked a trip to a tropical destination using an online resource and the entire experience seemed to have been accomplished digitally. After all, I searched for potential destinations online; I scoured the internet for the best deals; I paid and received all my confirmations online. From this perspective, booking travel appears to be a completely digital customer journey. So how does this relate to direct mail and its role in a typical customer journey? I’m glad you asked. My “travel booking” journey actually started with an (offline) discussion with a friend. A week later, I received a direct mail offer from one of the many hotel loyalty programs I belong to. The mailpiece featured beautiful images of a place I have always wanted to go, but which wasn’t discussed as a possible destination in deliberations with my friend. This mailpiece directly influenced my ultimate decision on where to travel because it had a clear offer, hit my mailbox at just the right time (surely based on my past travel patterns), made it easy to respond, and clearly was a good deal. Companies and marketers often forget how important it is to deliver clear and effective messages at every consumer touchpoint. It’s the entire journey that makes for a memorable experience. Understanding your customers’ wants, needs, and expectations then delivering on them is critical in today’s ultra-fast-paced, short-attention-span, “deliver-to-me-right-now” society. Customer journey mapping works if done thoughtfully and with the support of your entire organization. Research from McKinsey & Company shows that 56% of all customer interactions occur during a multi-channel, multi-event journey, and 38% of all customer journeys involve more than one channel of interaction. Higher returns on investment via satisfied customers and employees. Have a discovery meeting. Include leaders from all organizational areas for input. Hold an employee workshop to explain the reasons and benefits and gain buy-in. Track, record, validate, and disseminate information so you have the appropriate data to inform how you structure your customer journey map. Create the journey map! Outline all the details with “moments of truth” highlighted. Create personas for your target audiences and educate all employees about the key moments along their journey. Create an action plan: Put your map into action! 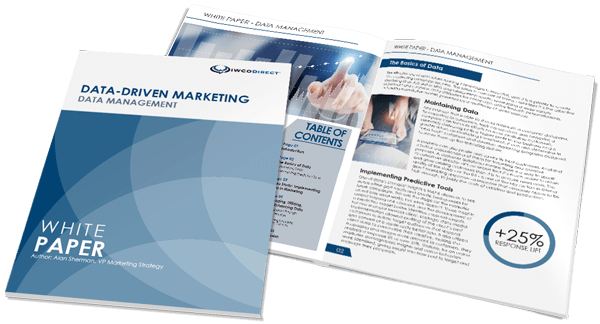 Focusing on the role direct mail plays in a customer’s journey is an investment that pays long-term dividends. If you or your organization would like more information on building and implementing a customer journey map, please contact me.